ACD is short for Accounting Directory. Say hello to us at hello@accountingdirectory.com. Directory listings are free. If you would like to feature your listing on our home and listing pages, check out our pricing page to upgrade. We accept Paypal and their payment options. How do I cancel my featured listing? Login to Paypal and navigate to the recurring payments and cancel. Once we get the notification, we will remove your featured listing at the end of your billing cycle. 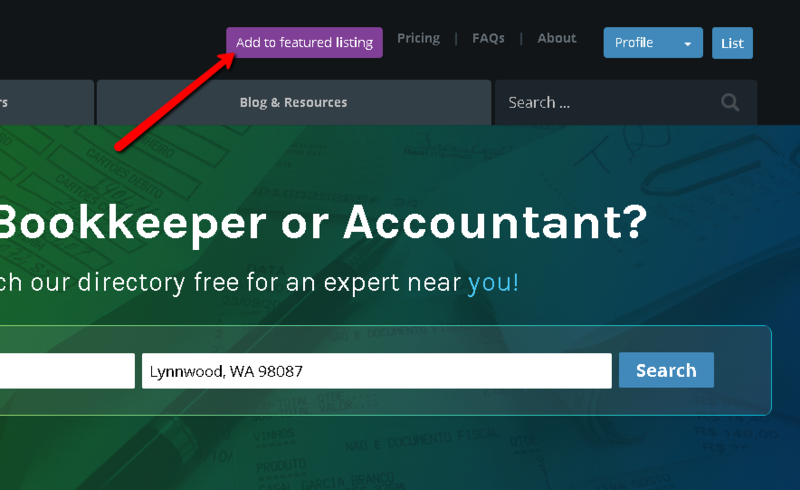 Is it free to search ACD’s directory for accounting experts? Yes, anyone can search our listings for free! What if I forgot the email address I signed up with? Your profile on ACD can be used as your website or in conjunction with an outside website. You may add your website link to your listing as well as social media links. How do I feature my profile listing? Sign in > click feature listing button on the top of the navigation bar or from the pricing page.